Getting electrocuted is an accident that can have severe, long-lasting consequences. Unfortunately, over 400 people suffer electrocution-related deaths every year in SUA, not to mention the many thousands of people that get injured and permanently scarred. It will surprise you, but suffering an electric shock injury may not be your fault at all. In fact, in many cases, this is the consequence of somebody else’s negligence. So you need to contact an electrocution lawyer in Annapolis and bring the responsible party to justice. A couple of years ago, after a 14-year girl suffered a fatal accident caused by electrocution, the need for an electrocution law in Maryland became very clear. Since then, there have been many successful lawsuits against companies that have been negligent and caused people to get electrocuted. Any personal injury attorney in Maryland will tell you that the validity of your claim depends on the circumstances, which is true. But as it happens, many electrocution accidents are caused by defective products or malfunctioning machinery. For example, if you were using a tool and got yourself electrocuted even though you have respected the safety rules, it is almost certainly the manufacturer’s fault. Determining the exact cause of the shock is not always easy, but it is worth to know if you are entitled to compensation or not. You will need the help of an electrocution injury lawyer in MD, and we are here to assess the situation and let you know where you stand. 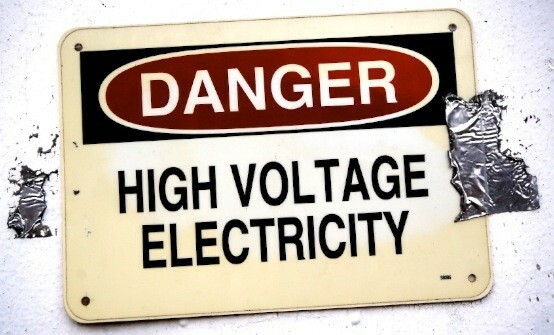 As a rule, most companies will try to avoid an electrocution lawsuit and they will make you an offer. Keep in mind that offer is always less than you should receive. Instead of agreeing to their terms, contact your lawyer and have them negotiate the settlement. If you feel that you can’t reach an agreement with the responsible party, then we are prepared to take this to court and fight for you. Justice is on your side, keep that in mind. Once we prove that the responsible party has failed to provide the standard care and, as a result, you got injured, you have the right to receive compensation. This includes the medical expenditures, the loss of income caused by not being able to work with your injuries and, of course, the non-economic damages, such as the emotional distress and pain you have suffered. The same conditions apply if you have suffered the loss of a loved one as a result of an extensive injury caused by electrocution. Only that in this case, we will pursue a wrongful death claim and fight to offer you the peace of mind of knowing the responsible party has been brought to justice. What makes us the best electrocution lawyers in Annapolis is the unique way we approach every case. Even though our experience goes back 30 years, we know that each case is unique, and we get past the surface to reach the middle of the problem. We work continuously for your rights and to help you make the most of the difficult situations in your life. Talk to us and let us discover the way to help you. If you need an electrocution lawyer, you are in luck! Call (443) 569-3950 for a free, no-obligation consultation.